Have you ever considered expanding your useable living space with a patio deck? Just imagine all of the parties you could host, dinners and game nights you could have, and relaxing evenings you could enjoy under the rays of the sun or the light of the moon and stars. There is virtually no limit to how you can use your beautiful outdoor living area. But, while there are numerous ways you can enjoy a deck, there is only one company you should choose to install it – Chesley Fence & Deck. 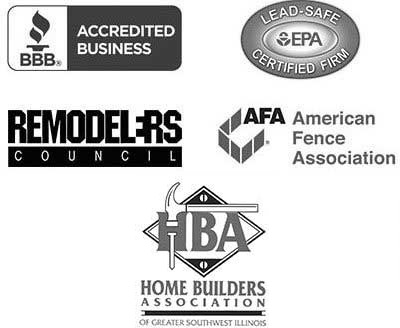 We are the most trusted name in the Bethalto, Illinois area for best-in-class decking products and first-rate installations. We have been recognized time and time again for our excellence, even continuing to maintain an A+ rating with the Better Business Bureau. 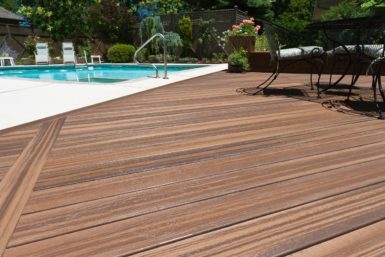 No matter which of our exquisite decking options you choose to transform your yard, you can count on your new patio deck to be custom designed and built by factory-trained and seasoned installers with care and precision to ensure longevity. Plus, we are so confident in the work of our technicians that we back each installation with a three-year labor warranty for your peace of mind. Ready to have a patio deck built in your yard in Bethalto, IL? If so, then contact the experts at Chesley Fence & Deck today.